*inaugural schools receiving one complimentary registration must include no less than five paying registrations. **Costs apply to professionals, graduate students and undergraduates registering for the conference. One complimentary registration is offered for every ten paid per school. If you are registering ten or more individuals, or fall under the category of an “inaugural” school (i.e. attended the March 2015 conference) you are eligible to receive one complimentary registration. The current registration software does not allow you to add the complimentary name, therefore you are asked to email the registration coordinator directly at registration@lead365.org and provide the name, title, contact information of the free attendee. All others need to be registered using the system below first. Based on attendee feedback from last year, two tracks are now available (one for professionals/graduate students and one for undergraduates) covering the following topics: financial planning, retirement strategies, career mapping, professionalism, being supervised, interviewing and networking. The institute will run three consecutive hours from 1 - 4pm on thursday, oct. 31. There is an additional $49 fee. All conference participants receive a Lead365 National Conference electronic credential (badge) with your registration. After the conference, using the email on record, all attendees are sent directions on how to link the badge to your social media. The conference badge links back to our website so potential or current employers can learn about your conference experience in detail. 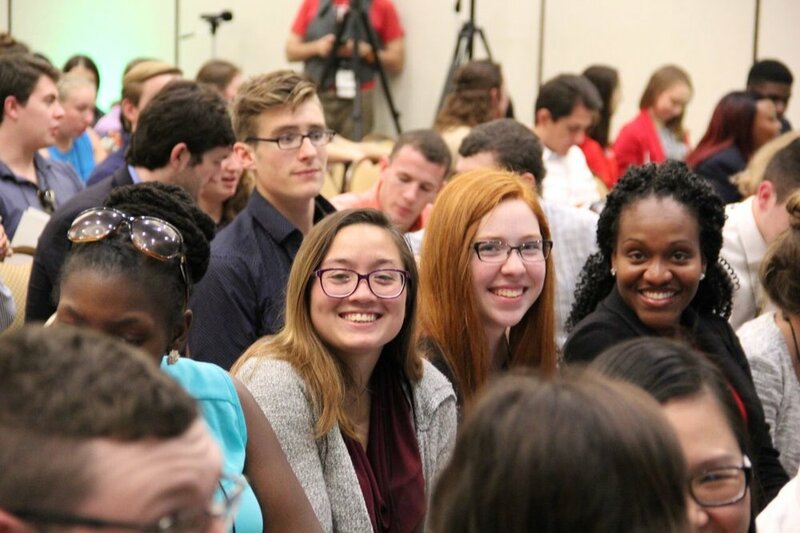 For only $39, participants can sign up to earn an additional credential through the national Student Leadership Competency Badge Program developed by Dr. Corey Seemiller. By following a specific grouping of sessions and experiences, 2018 attendees can earn the VERBAL COMMUNICATION badge. A "passport" is given at registration requiring signatures of the presenters of identified options designed to improve your competency of verbal communication.